Getting poor grades in your essay? That’s the scenario with many other academics, with a few understanding the baseline cause. Even if you are well-conversant with the basics of essay writing, you are failing in organizing the coherent set of ideas. Thereby, flunking in satiating your professors. Time has arrived to shift your focus on formatting, prior to composition. And here, you will be introduced to a unique outlining style – read to know more! Each segment possesses an innate connection with the main structure, giving the anatomy a complete look. 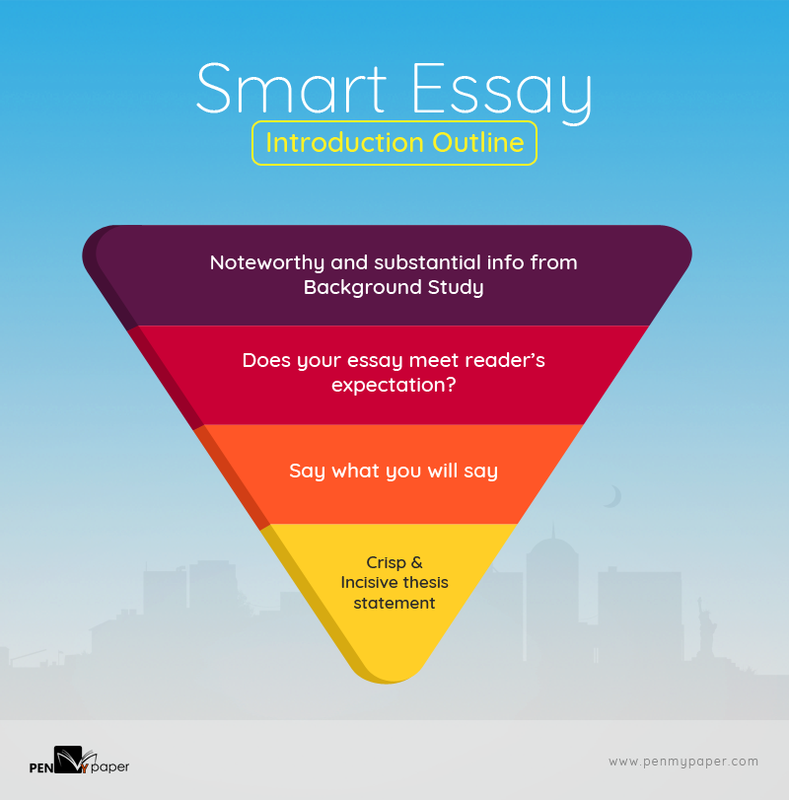 If you want your essay to be most appreciated, define each slice distinctly and succinctly. Reading a critical thinking essay must feel like a comforting journey to something amazing. Your train of thoughts must be adjoined with a fine string of attachment, and who else than a smooth transition statement, can do it! Wise use of them, certainly, renders the reading process an effortless flow. Look like, you have crammed the idea of a true-blue transition sentence, so, that phase is now sorted. 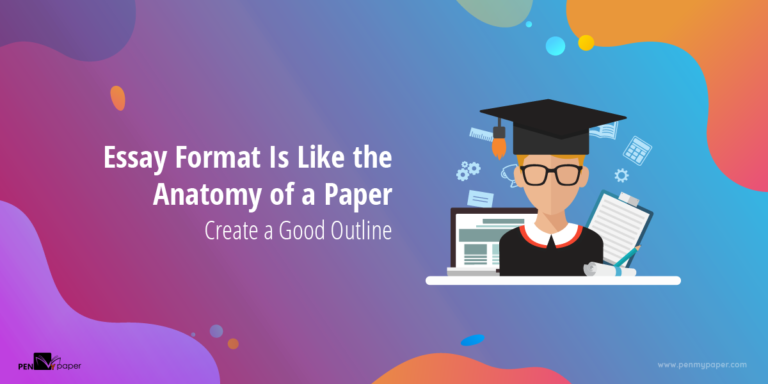 Next-in-line, you will be instilled on developing an essay format, with suitable tips and examples. 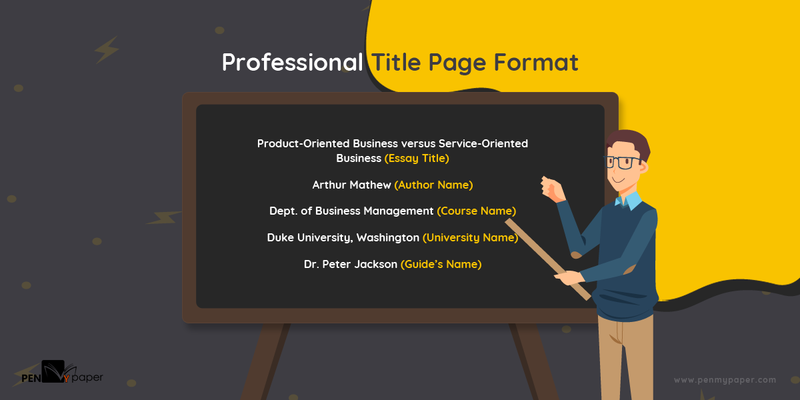 How to construct a Title Page? The top-right corner of your Title Page must show the Running Header along with the Page Number. Depending on the referencing style, you have to decide whether to put the essay title or your surname as Running Title. Start with a piece of significant information from the background study. Include only that data, which will trigger an individual to read further. Precisely articulate what you will discuss in the essay body. Without any sort of hyperbole, highlight the baseline of your main discussion. Give hints of the significant findings from your research. Let readers be assured of what they will be reading suits with their field of interest. Signoff with a logical, clear, and to-the-point thesis statement. It’s a one or two sentence summary of what the topic reflects, and the fine subject-line of your paper. 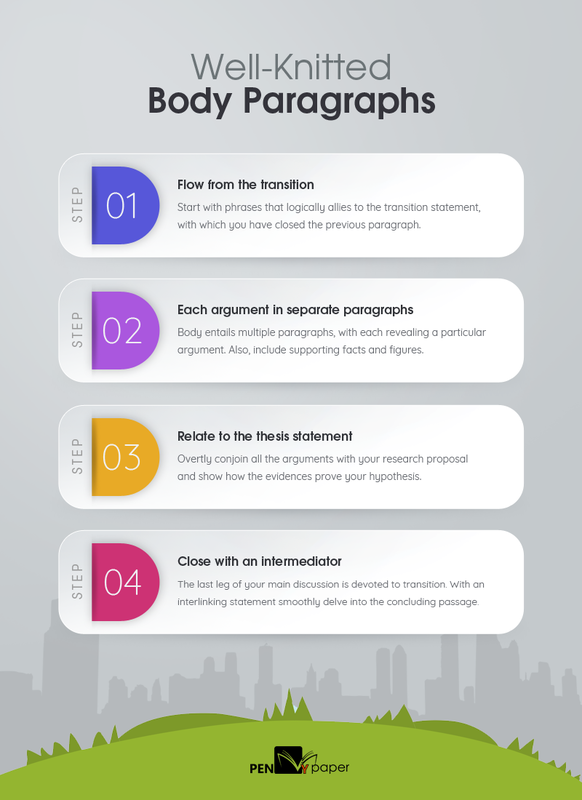 How to develop the essay body? 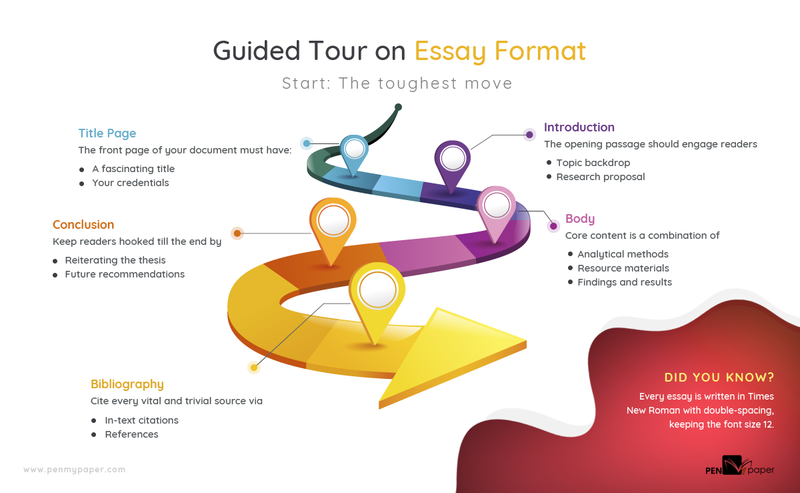 An advanced guide to an essay tells that the body section is for defining the research methodology, stating the major findings, and explaining the shreds of evidence. Methods: Start the body by stating the research methodology, which you have adopted for investigation and analysis. Materials: You may call it the equatorial region of your essay, as it is exactly the mid portion. Here, you will talk about the sources like books, journals, scholarly articles, videos, etc. used during the research. Results: Lastly before ending the main discussion, put light on the findings, and evidence. Include various graphical representations like charts, tables, SmartArt, etc. in support of the data. 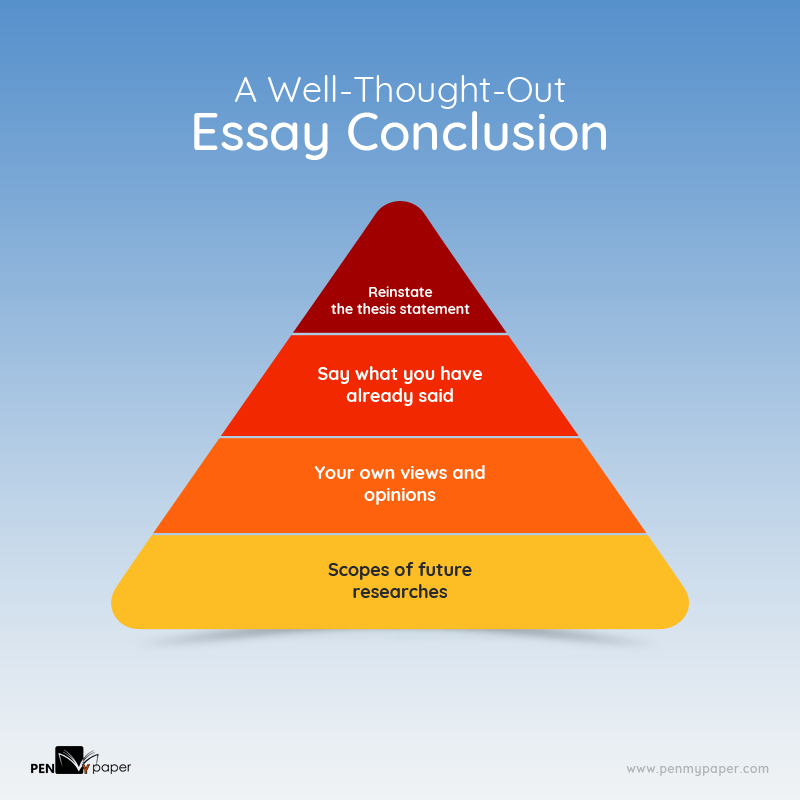 How to smoothly conclude an essay? The concluding paragraph will open with recalling the thesis statement. But, here you will describe the research proposal with a different set of words, keeping the meaning intact. Followed by the thesis, insert a brief synopsis of what has already been discussed in the body. Do not exaggerate on a matter, simply hint on the keystones. Be vocal about your recommendations on the particular matter. As the name suggests, this passage is for uttering your views and perceptions, concerning the topic. Finally, close the essay by stating the future scopes and opportunities. Be clear about the sectors, from where future researchers can pick up. How to compose the Bibliography? A bibliography is the last part of an essay, as per amazing essay outlines, where you have to credit each and every source that has contributed to your research. Scholars must be a little more cautious while citing the sources. Normally, universities mention the referencing style, to be followed, like APA, MLA, Harvard, etc. You should abide by the guidelines and format the paper, accordingly. In MLA format, this section is titled as “Works Cited”, whereas, in APA the title shows “References.” Besides this section, you may also need to perform a few in-text citations. Suppose, you have quoted or paraphrased other’s work, in some part of the essay body. Cite the original work, at the end of the sentence, through parenthetical or in-text citation. Getting expert assistance in preparing the essay format is a good option if you aren’t yet confident. Find a reliable and economic essay writing service for students, who will draft the finest essays for you. Being in the business for a decade now, PenMyPaper is certainly a trusted academic assistant. Contact for exclusive help!